Based on the underlying assumptions and resulting cotton balance sheet, the level of stocks outside of China in the 2018 marketing year, along with higher projected production in 2019, may contribute to a more bearish tone for cotton prices in the coming year. However, the increase in world trade due to higher Chinese imports, along with a resolution to the U.S./China trade dispute, could provide some price support. As with any projections into the future, there are uncertainties and unknowns that can change the outcome. 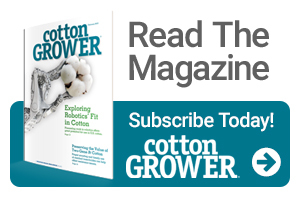 For the coming year, a key factor affecting the U.S. cotton industry is the ongoing U.S./China trade dispute and the 25% tariff on U.S. cotton imported into China. Additional details of the 2019 Cotton Economic Outlook are posted on the NCC website.